John Deans, with his brother William, farmed at Putaringamotu (Riccarton) for seven years before organised European settlement of Canterbury began in 1850. The brothers were enthusiastic about cattle farming, writing about the region in glowing terms to family and friends. 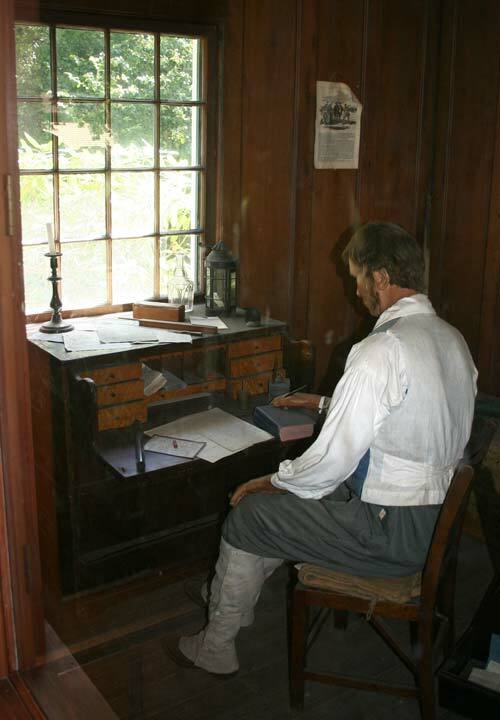 This lifesize model of John Deans at his writing desk is in Deans Cottage.